For those of us who wish to be proactive, there are better ways to safeguard your health this winter other than a flu shot. The stress of everyday living takes a toll on most people in one form or another and often is reflective in our vitality. Poor eating habits, lack of sleep, and exercise are all precursors for allowing your body to become depleted and rundown. The cold weather and dampness also adds to the problem and can set a person up for a bout of the flu or bad cold once the season sets in. However, with a little preplanning and some added herbs, one can generally head a bad cold off at the pass. How can Chinese herbs help this winter? There is considerable complexity in putting together a Chinese herbal formula and to learn the best combinations can often take years. Chinese herbology is a science unto itself. However, there are a few herbs used for medical purposes that are easy to prepare for the winter months. Such mainstays as cinnamon, clove, and astragalus can easily be made into teas or taken in capsule form. These boost your immune system when taken ahead of time. These are all easily available, but you might have to check with your acupuncturist to make sure you get the correct dosage. If you already caught a winter bug, there’s still plenty you can do to feel better. Fresh ginger will dispel cold from the muscles and joints. Angelica will expel wind while opening up the nasal passages. If it’s a sore throat your coming down with, try some peppermint leaf. If it’s muscle pain you’re dealing with, don’t be afraid to try some clematis in tea form. Clematis will help to move the body’s Qi and unblock the areas where the cold has set in. 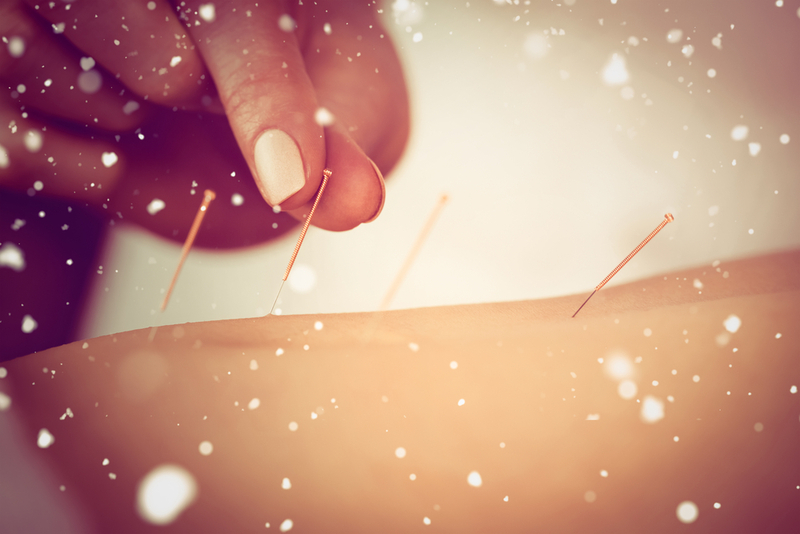 By its nature, acupuncture can help a great deal to get back on your feet. There are acupuncture points that stimulate the immune system such as Stomach 36 and Gall Bladder 12. This is especially useful when combined with the herbs. The typical acupuncture session runs about an hour in length and often involves the practice of cupping as an additional therapy. Cupping will help move the lymph through the body and is good both for pain and congestion. If you never tried cupping, it can be quite the experience. It rids the muscles of old residual pain that’s stuck in the body. While it is quite harmless, you may temporarily look like you had a run-in with an octopus. The marks quickly fade as circulation to the area is restored over the next few days. With a little forethought and planning, there’s no reason to let the flu get you down this winter season. Contact us today to set up an acupuncture appointment or learn more information. We provide chiropractic health wellness and acupuncture services to patients in the Greater Rochester NY area. All Major Insurance Accepted Problem Case Specialists!